Learning challenges are complex traits, with a number of genes individually tipping the balance. These same mixes of genes also frequently give benefit in other areas. A gene can have two or more versions. Each one is called an allele. So far 89 immune function and regulation genes have been identified, and greater than 6000 genes are active primarily in the brain. 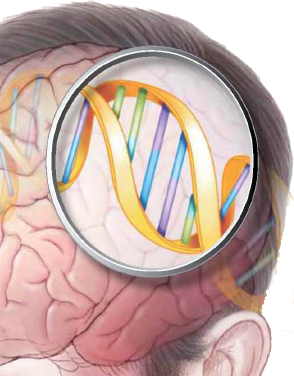 Greater than 300 immune and brain genes are implicated in learning challenges. Alleles grow in the population because they are protective in a specific environment. As the environment changes they can provide vulnerabilities to other diseases. For example, two immune genes, C4B and HLA-DRB1, are implicated in learning challenges. C4B gene, encodes a protein that is involved in eliminating viruses and bacteria. HLA-DRB1 gene is part of a family of genes that helps the immune system distinguish the body's own proteins from proteins made by foreign invaders such as viruses and bacteria. C4B has an allele, called the null allele because no C4B protein is produced. It is present in 27% of humans. So it is a “normal” gene allele, but people carrying it have an increased vulnerability to infections. C4B null allele has been found to be present in approximately 60% of children with autism (ASD), attention-deficit hyperactivity disorder (ADHD/ADD), and dyslexia. In both ASD and ADHD, the children’s mother frequently also had a C4B null allele. Fathers had normal frequencies of this null allele. Also approximately 55% carried both the C4B null allele and a similar HLA-DRB1 allele. This compares to only 8% of the general population. Kids who develop learning challenges are more likely to be kids with multiple immune vulnerabilities whose mothers also have increased immune vulnerabilities. If the mother is unaware, no action will be taken, and the more vulnerable babies will have higher exposure in the womb. People with learning challenges also carry brain alleles in common patterns, such as dopamine receptor D4, 5-hydroxytryptamine (serotonin) receptor 1A, 1B, and 2C, and tryptophan hydroxylase 1 and 2. So we see shared patterns of both immune and brain differences based on alleles present in a large part of the population. We consider this part of natural diversity necessary to keep the population healthy with a changing environment. Some parts of the population serve as canaries in a coal mine, warning us to harmful changes in the environment. The tendency to predominately fund research seeking a single gene that causes a specific learning challenge is not fruitful. Fortunately, we know how to help a great deal of learning challenges. More pediatricians, parents, and teachers need to be educated. Research emphasis needs to be refocused on patterns of causation across highly co-morbid learning challenges and intervention. A magic bullet is unlikely, we must stop chasing it and focus on understanding what works and why. 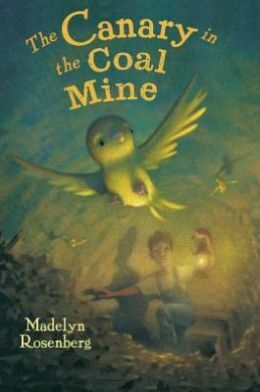 Our thanks to Madelyn Rosenberg, the author of Canary in Coal Mine, and other wonderful children's books.